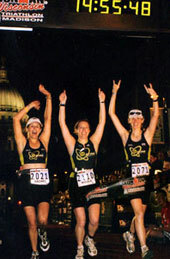 2009 –“ Greater than One” - 16 week comprehensive group Marathon and Half Marathon training program for the SF AIDS Foundation. 2009 –“ Greater than One” - 12 week comprehensive group beginner’s program for the Wildflower Olympic Triathlon for the San Francisco AIDS Foundation. 2008 –“ Escape from Alcatraz” - 12 week comprehensive group training program for the San Francisco Bay Club. 2008 –“ IronSpuds” San Francisco Triathlon Club’s 6-month training for Ironman Coeur d’Alene. 2008 –“ Ironman Training” GGTC 6-month training for Ironman Coeur d’Alene.